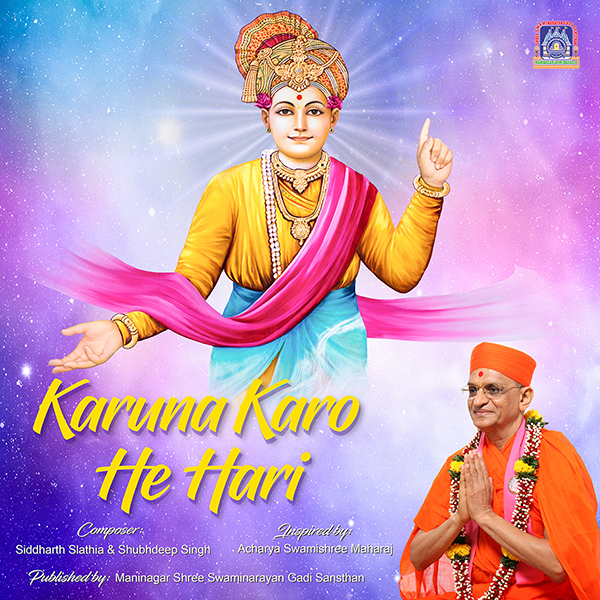 The CD of devotional songs, Karuna Karo He Hari, was inaugurated on Sunday 18 February 2018 by Acharya Swamishree Maharaj to mark the official start of Shree Ghanshyam Maharaj Amrut Mahotsav. This grand festival to be held in February 2019 marks 75 years since the supreme Lord Shree Swaminarayan came to preside in Maninagar Mandir. The compositions have been directed by Siddharth Slathia and Shubhdeep Singh, and much assistance in this production was given by young disciples currently living in the USA.